Phyllis Dorene Sleichter, 90, Wichita, formerly of Hays and Palco, died Tuesday, April 10, 2018 at Regent Park Rehabilitation and Healthcare in Wichita. 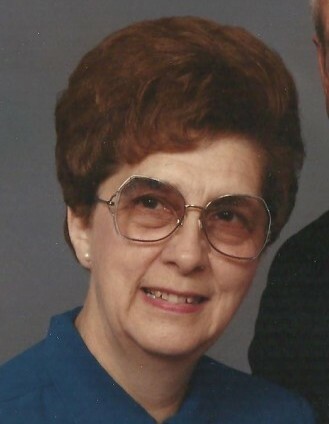 She was born October 23, 1927 in Palco, Kansas the oldest child of Hugh and Zelma (Marcotte) Meade. She graduated from Palco High School and attended nursing school at Fort Hays State and received her teacher’s certificate from Fort Hays State University. She taught at Palco Grade School and was a substitute teacher for many years. On September 20, 1947 she was united in marriage to George H. “Slick” Sleichter at the First United Methodist Chapel in Hays. He preceded her in death on March 4, 2010. She was a housewife, living in Phillipsburg, Kansas while her husband worked for Kansas Nebraska Gas Company. They later moved back to Palco where they started Slick’s Ditching Service. In 1991, they moved to Hays where they belonged to the First United Methodist Church and Dorene belonged to the Naomi Circle. She enjoyed being a mother and grandmother, was very faith filled and giving, was an awesome cook, and she enjoyed spending time with her family, especially her grandchildren. Survivors include a daughter; Sheryl Terry and husband Bill of Great Bend, Kansas, a son; Kirk Sleichter and wife JeanAnn of Wichita, a sister; Jean Berland of Hays, five grandchildren; Angela, Chad, Shawn, Meredith, and Lydia, and six great grandchildren; Triston, Darby, Kalyssa, Payton, Cameron, and Rocco. She was preceded in death by her parents, her husband George, and two brothers; Marion and Harlan Meade.